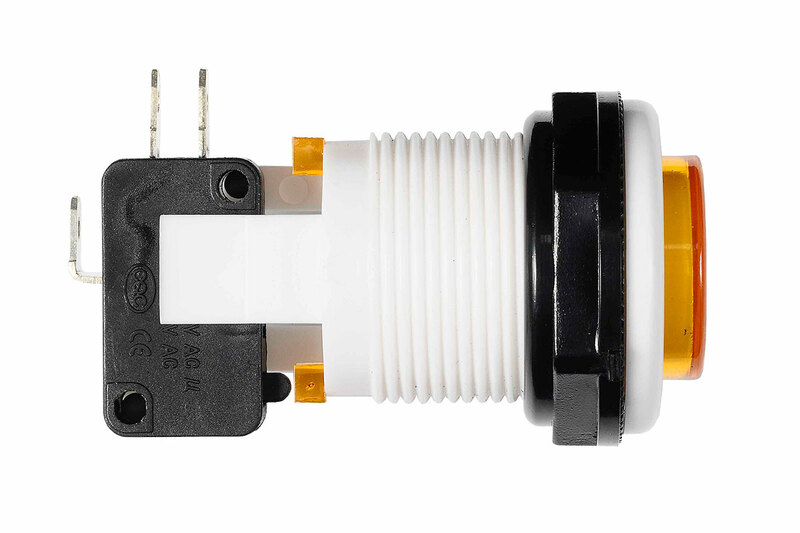 Take control of your project with this momentary push button. 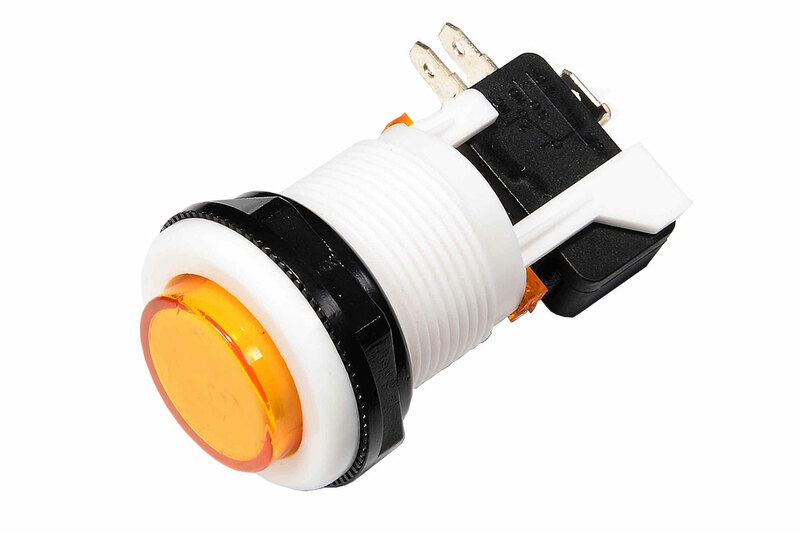 This switch features a white plastic body with a yellow button. 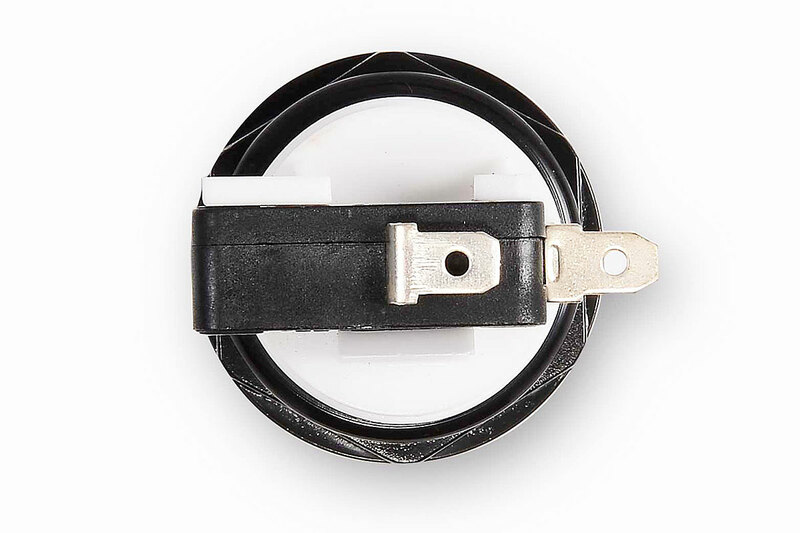 This flat topped button can be mounted into any project that needs it. 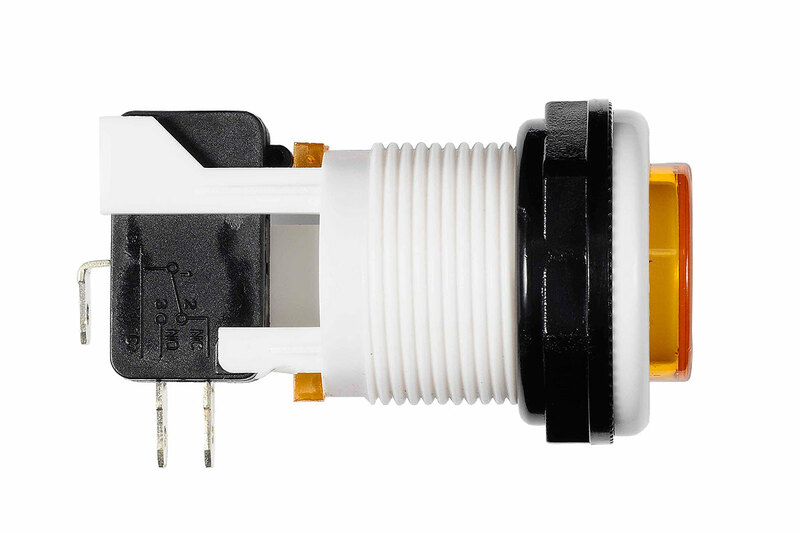 With both normally open (NO) and normally closed (NC) leads, this switch will supply momentary power to the normally open lead (NO) as long as the button is depressed. Produces a satisfying click when button is pressed. 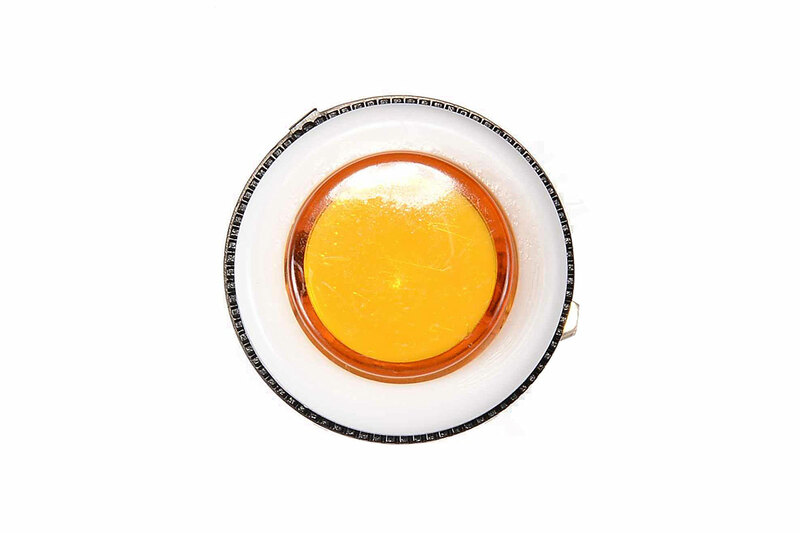 Color: white body and bezel with yellow button.